If you’re planning to put your house on the market, it goes without saying that you’ll want to sell your home quickly and get the highest price possible. Set the stage for success with these 21 tips for styling and upgrading your home, and see results…FAST! 1. Boost curb appeal. 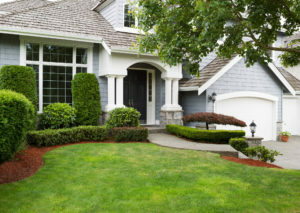 Power wash siding and walkways, hang easy-to-read house numbers, plant blooming flowers and fresh greenery, mow lawn and reseed or add fresh sod as needed, wash front windows, and repaint or stain the porch floor as needed. 2. Welcome visitors with an inviting porch, maybe a fresh coat of paint on your front door. 3. Get your house sparkling clean. 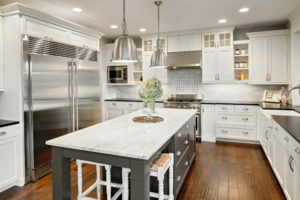 From shining floors and gleaming windows to clean counters and scrubbed grout, every surface should sparkle — this step is key! 4. All clutter must go. End of story. 5. Strike a balance between clean and lived-in. Think vases of cut flowers, a basket of fresh farmer’s market produce on the kitchen counter or a bowl of lemons beside the sink. 6. Styling your dining room table can increase appeal. An oversize arrangement can look too stiff and formal, so try lining up a series of smaller vessels down the center of the table instead. 7. Rearrange your furniture. In the living room, symmetrical arrangements usually work well. Pull your furniture off the walls and use pairs to create an inviting conversation area. 8. Choose sophisticated neutral colors. 9. Create a gender-neutral master bedroom. Appeal to everyone with a clean, tailored master bedroom, free of personal items and clutter. 10. Take a good look at your floors. At the bare minimum, give all floors a thorough cleaning (and steam clean carpets). 11. Use only perfect personal accents. Especially in the bathroom, it is important that anything left out for visitors to see is pristine. 12. Open those closets! Aim to have 20 to 30 percent open space in each closet to give the impression of spaciousness. 13. Use “extra” rooms wisely. Each room should have a clearly defined purpose…so think about what potential buyers might like to see here. 14. Try a pedestal sink to maximize space in the powder room. 15. Clean up toys. Show buyers that in this house, it is possible to have a beautifully organized kids’ room and they might be swayed. 16. Entice people to explore the whole house. 17. Show how you can utilize awkward areas. 18. Beware pet odors. Really, this can be a big one! If you have pets, get all rugs steam cleaned and be extra vigilant about vacuuming and washing surfaces. Keep toys and crates out of sight if possible. 19. Create a lifestyle people are looking for. 20. Stage the outdoors too. 21. Think seasonally. Make sure your garden is in beautiful shape in the summer, and that any extra features you have, like a pool or a fire pit, are cleaned and ready to go! Contact us today and we’ll be happy to assist you with all your staging questions. You’ll be amazed at what a dramatic difference selecting the right paint colors, carpet, accessories and furniture placement can make! "Leon & Tina are the A team in real estate. The will sell your house quickly! We had four offers in four days and we received the full asking price! Tina offers great advice and it is because she comes... continued"